It's been a pretty non descript week but one which has made me realise that I am going to have to get even more organised at home after the Easter holidays as full time work looms. Crazy weather day today so another lazy Sunday. 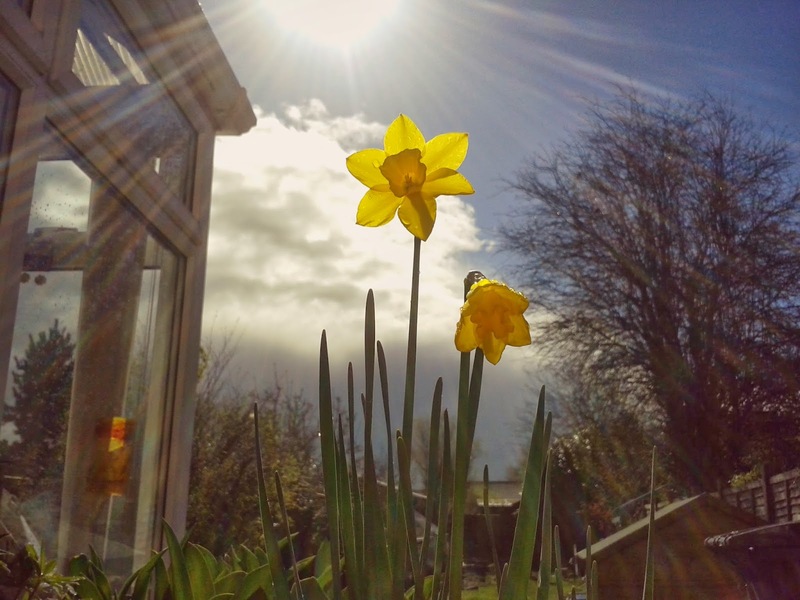 The bright yellow of the daffodils caught my eye through the kitchen window against the black and sunny sky. I spent a rather relaxing couple of hours penning letters and decorating envelopes. I am going to miss this free time soon. Meal preparation day before the working part of the week. 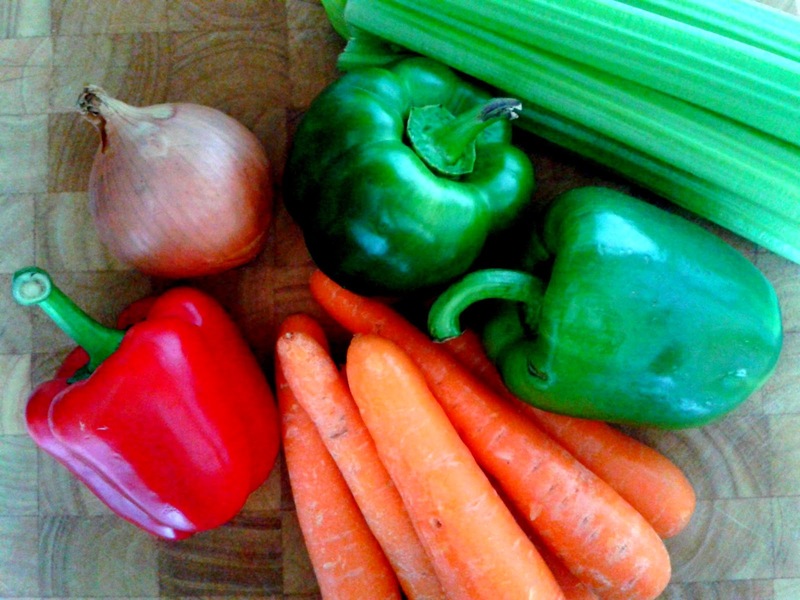 Cottage pie and pasta bolognese were on the menu this week. Menu planning and food organisation will have to be upped soon. Play dough preparation for work. Also recommended as a great stress reliever. 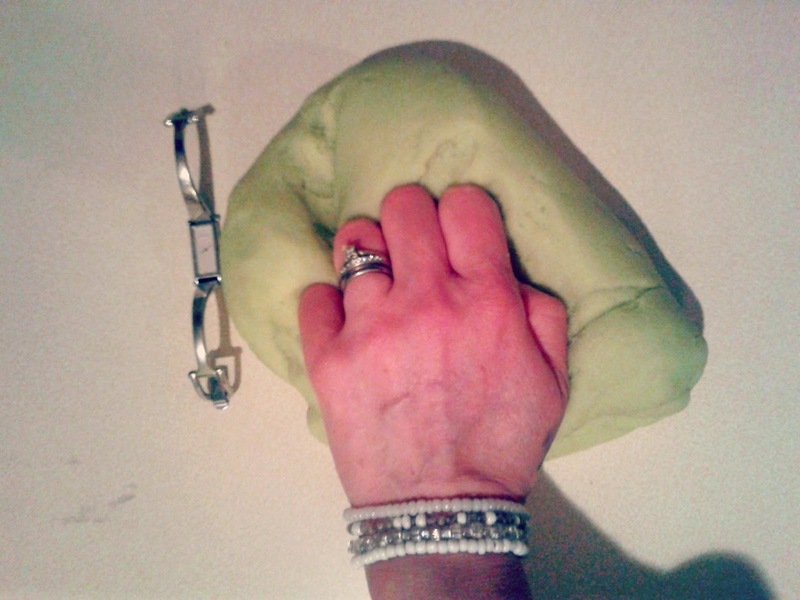 It is very calming kneading warm play dough straight from the pan. 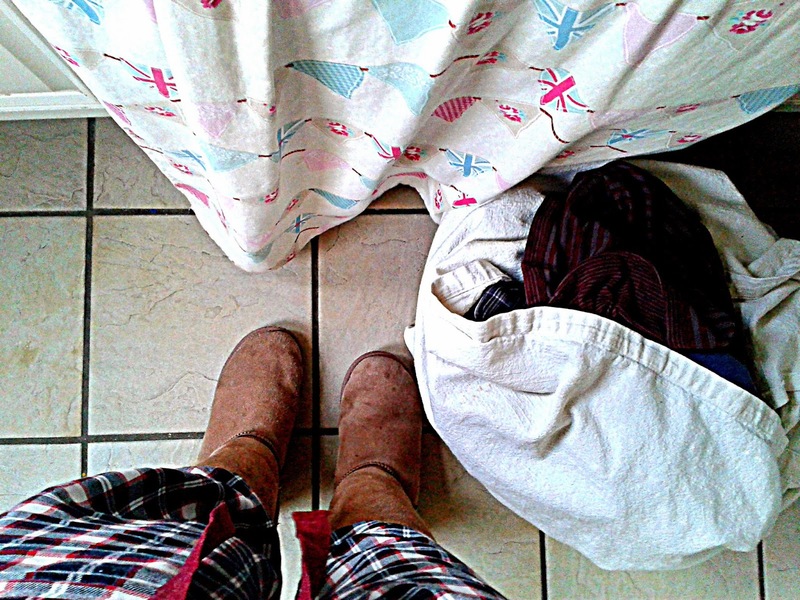 In my pyjamas by 6:30 and a mountain of laundry to get through before tackling work. Thursday nights are my least favourite night of the week. I wish someone would invent the 'self emptying hangs the washing out by itself' machine. A rare Friday evening out for a meal in Lacock to say goodbye to a well loved work colleague. Upon leaving the pub I suddenly remembered I hadn't taken a snap that day. 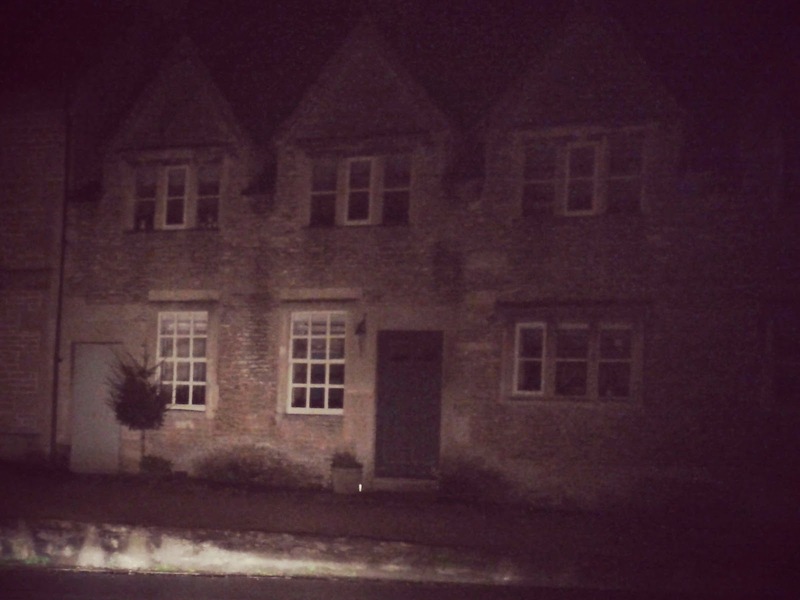 I love how peaceful this village is at night, a complete contrast to the tourist filled days. I ate pudding last night - I never eat pudding. Plus I stupidly had two slices of cake at work. 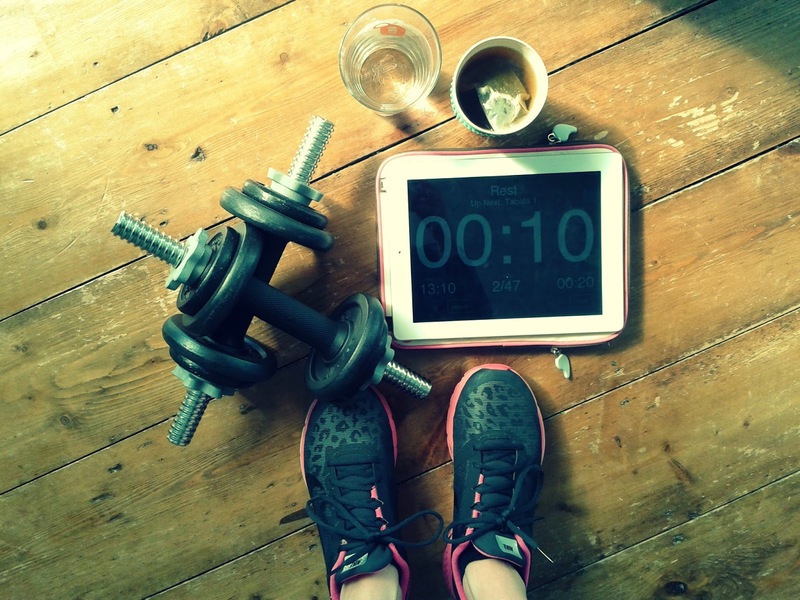 So today was all about getting the focus back with some timed workouts, peppermint tea and water. Love the daffodils, don't worry about the cake, it doesn't hurt to have a treat once in a while! 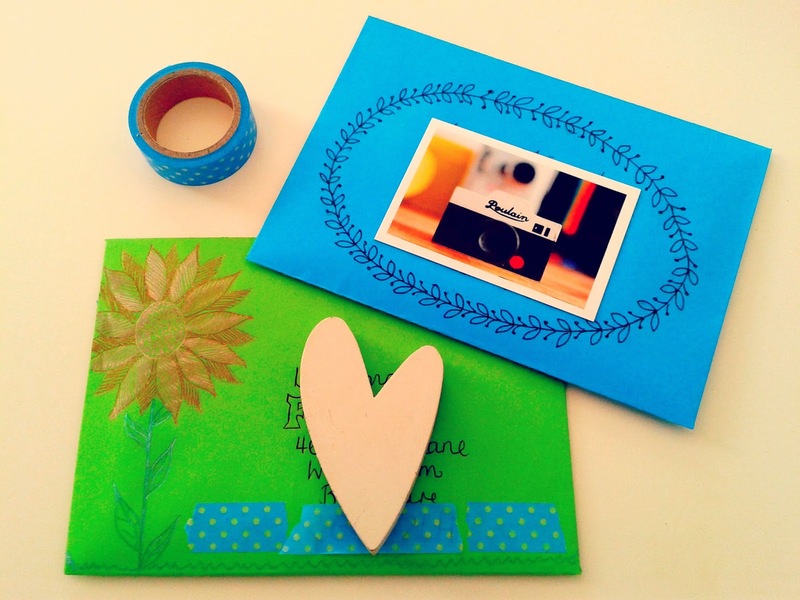 Can you pen me a letter so I can receive your beautiful stationary? Love the daffodils. I love that first photo - great perspective the daffodils look like they're enormous! Warm play-doh sounds very calming, bet it feels nice too. You sound like a great influence with no puddings and drinking water. I should so take a leaf out of your book! oooo that restaurant looks haunted! I used to make playdough for my 2 boys. Love the daffodil picture. Thanks, couldn't resist it when I saw it. Thank you, I love getting down low for photo taking! Good job really, what with the lack of running I'd be the size of a house! That sounds great. Hopefully soon we can! I know. Bit late to worry now anyway! Love the shot of the daffodils. Definitely need one of those machines..! Gosh full time work - good luck. I would like to work more as need the money but equally would hate to give up my two precious days when I do stuff - even if it's just housework. I love the daffodils but also your letters and envelopes and the veggies. I am *loving* your 'From Where I Stand' photos, you've composed them really well! The daffodil photo is magnificent too. I'm so pleased that you're doing this photo project, I look forward to seeing your photos every week. Thank you! It's usually when I'm stuck for inspiration. I'm a little concerned how I'll fill the week of photos when I'm in school mon-fri!